ABC has a leak on their hands. According to The Hollywood Reporter, a hacker has leaked episodes of the upcoming TV show Steve Harvey’s Funderdome a week ahead of the series’ premiere. Hosted by Harvey, the reality competition show features entrepreneurs as they “go head-to-head in pitching their ideas and winning seed money for their fledgling business.” The show is set to debut on ABC on June 11th at 9 p.m. ET/PT. On Sunday, the hacker collective known as The Dark Overlord claimed to have released eight episodes of Steve Harvey’s Funderdome to the illegal file sharing site The Pirate Bay. This is not the first time the hacker has leaked unaired episodes. In April, The Dark Overlord released episodes from season five of Orange is the New Black, which isn’t set to debut until June 9th. As of reporting, ABC has not responded to the leak. What do you think? 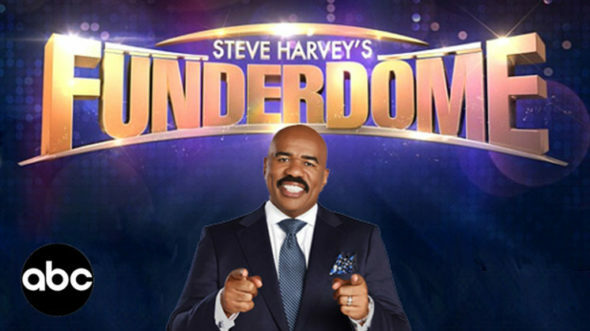 Are you planning on watching Steve Harvey’s Funderdome? How do feel about leaked shows? More about: ABC TV shows: canceled or renewed?, Steve Harvey's Funderdome, Steve Harvey's Funderdome: canceled or renewed? The Muppets: Why Was Kermit the Frog Performer Fired? I don’t watch much on ABC, anyway… and NEVER EVER watch anything w/Steve Harvey…. just can’t stand him and he is NOT funny in the least. ABC’s line up is just horrible. I’m not condoning this because it is wrong, but it serves ABC right for canceling Last Man Standing. As FOR ANYTHING THAT COMES FROM ABC NETWORK MY FAMILY AND FRIENDS ARE BOYCOTTING THEM AND THERE SPONSORS FOR THE CANCELLATION OF THE BEST T.V. SITCOM ON THE ABC NETWORK THE LAST MAN STANDING WITH TIM ALLEN SO ABC DID NOT CARE ABOUT US SO WE MENT WHAT WE SAID THE BOYCOTTING IS ON. The sponsors/advertisers for ABC TV shows buy commercials on every network and basic cable TV station, so does your boycott include all of TV. I’m just curious. The people that watch this show are not downloading this on torrent sites.